Hans Loewald discusses the idea of patient sculpting, meaning that the therapist imagines the patient without his neurosis, and in so doing, imagines the patient having a more fulfilling life. What would the patient be like if he did not live out the guilt of his parents, for example. Lewis, sixty-six comes to mind. He is the son of holocaust survivors. Parents who instilled in him a sense that the world is a frightening place and he must be suspicious at all times. Lewis has embraced this philosophy unwittingly, living his life in constant fear, but not exactly understanding what he is afraid of. Imagining Lewis without anxiety is what some theoreticians call an “analytic stance”. If Lewis could come to understand that he “inherited” this fear from the trauma his parents experienced, then he could begin to separate out his reality from theirs. In so doing, Lewis could come to experience life in a more relaxed and engaging manner. Moreover, his physical symptoms of irritable bowel and intermittent headaches might improve substantially. A patient without anxiety uncovers the goodness of his soul, as anxiety can obscure that. Keeping the vision provides hope for patients. All of this is not spoken, and yet, magically transmitted between therapist and patient. 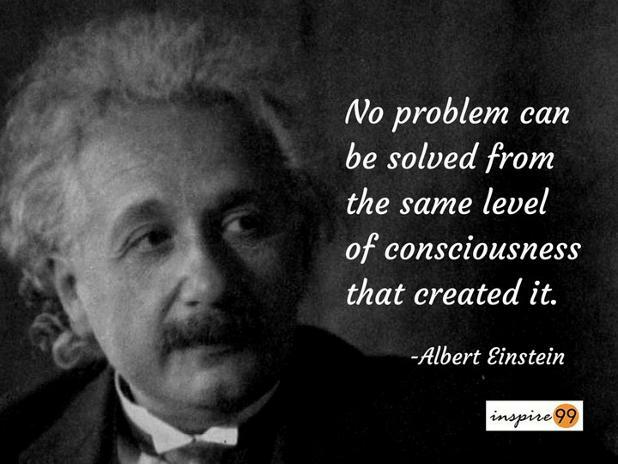 How to teach these concepts is challenging and yet also very fulfilling. 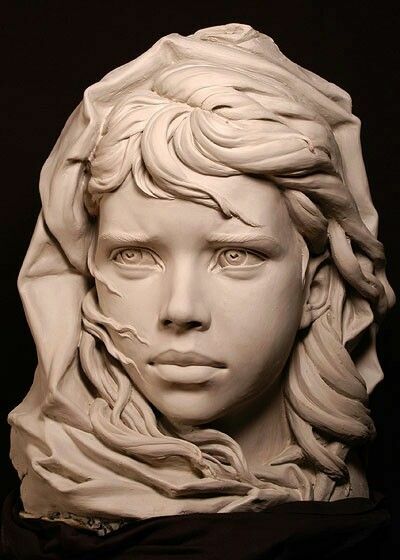 As with sculpture, each student has to find his method. The art of psychotherapy lies in its creativity and in its uniqueness with each therapist/patient dyad. There, I have said it again. Is Psychiatry As Bad Off As I Say It Is? 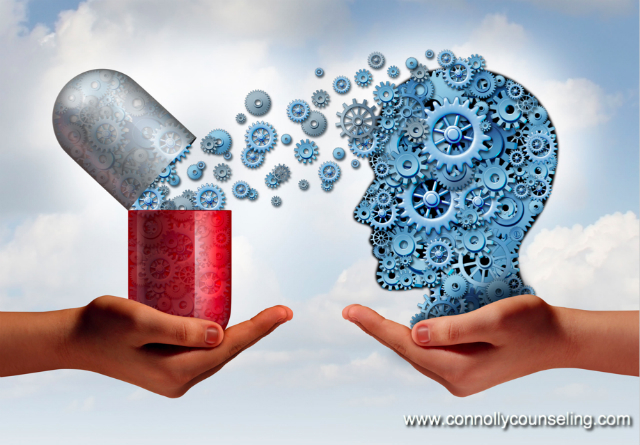 Check out Kelly Brogan MD…http://kellybroganmd.com/, a psychiatrist, similar to my thinking, advocates for mental health without medication. Now, I do not completely agree that medications are hurting patients, although sometimes that is true, but I do agree that we as psychiatrists have gotten trigger happy, which means we are too eager to prescribe, and too reluctant to listen and put symptoms in context. I have recently taught second-year psychiatry residents (UCLA-15 total), psychodynamic psychotherapy students (New Center for Psychoanalysis-9 total) and I am about to teach primary care doctors .https://www.cme.ucla.edu/courses/event-description?registration_id=146702 about the diagnosis and treatment of anxiety disorders. In each of these very different audiences I lament the loss of history taking in psychiatry, associated with the rush to prescribe and the consequences being unrealistic expectations and poor understanding of one’s personal dynamics. Associated with this are tremendous health care disparities in psychiatry where those without means are given care which is significantly lower quality than care given to those with discretionary income. Further associated with this are training programs where students learn to read checklists as opposed to asking and listening to open-ended questions. The patient’s narrative is lost and with that comes the loss of the excitement and joy of self-discovery; this loss being for both patient and provider. Burn-out seems like an inevitable consequence of our new model of care, but it will take many years to document this and so we must wait for evidence to validate our suspicions. Meanwhile patient care is suffering, and those with means can seek out care that makes sense, while those dependent on public funds are left to focus on symptom relief and not bigger picture understanding of what is killing their vitality. “I make students depressed” I say frequently, always to laughter, which goes with the grain of truth this gloomy picture represents. Exposing the problem remains the first step. Hence, I will repeat myself until this broken system starts to mend. 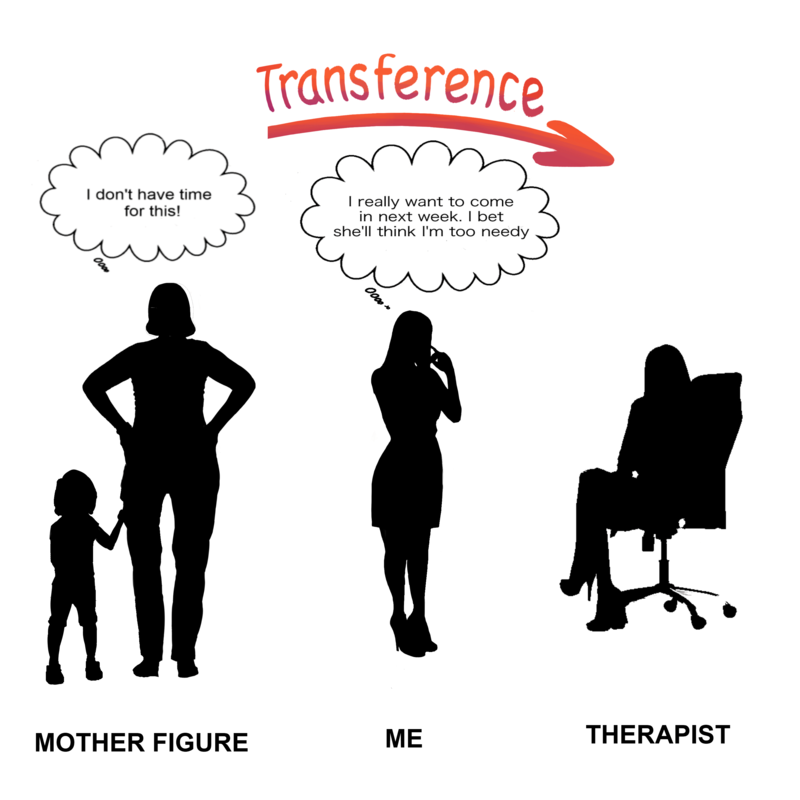 Did I Mention I Was Teaching Transference Tonight? Freud initially thought that transference was an impediment to treatment, but as the years went by, he began to “discover” that understanding transference was the holy grail of treatment, meaning it is the part of psychotherapy which creates personality change. In other words, how we feel about ourselves, based on early relationships is often recreated in our meaningful relationships and if we form relationships which are harmful to our self-esteem, then we need to reformulate our opinion of ourselves, based on a new relationship. This new relationship, in the form of psychotherapy, allows the patient to examine how he projects on to others ideas from his past, and in so doing re-affirms his previous notion that the world is mean/cruel/withholding towards him. If the patient can see his own projections then he can open himself to new possibilities which includes relationships in which he feels valued/loved/cherished. This is a simple notion, which in practice, requires many hours, in fact, at times, many years of treatment to see how deeply held beliefs can be faulty and damaging. Joe, thirty-two comes to mind. “I am going to disappoint you,” he tells me with great certainty. “Why do you say that?” I ask, thinking about his declaration. “I disappoint everyone in my life. I just do.” He says with little elaboration. “You mean you disappointed your mom,” I say, thinking that he is referring back to his earliest relationship in which he felt terrible sorrow for not making his mother happy, and in fact, disappointing her by not becoming a doctor or lawyer. “It must be terrible to feel that you disappoint people,” I say, thinking about what it is like to think that you will cause a significant other deep pain. Joe starts to cry. His tears speak volumes to his sense of inevitability that he disappoints; that is just what he does. “Maybe you disappointed your mom, but that does not mean you disappoint everyone,” I say, stating the obvious, but also knowing that it needs to be stated. “The issue is that you feel like a disappointment, and that is a terrible burden to bear,” I say, trying to help Joe understand that he carries around this painful feeling that he cannot shed, since he is so attached and identified with his mother. “I wasn’t abused,” Joe says protecting his mother. “Not in the traditional sense, “I say, “but you weren’t cherished for who you are, and that is a different kind of trauma,” I say, trying to help him understand the childhood feelings he carries forward into adulthood. “I don’t get it,” he responds impatiently. “Yes, we have more work to do,” I say, knowing that this is a painstaking process. the action of transferring something or the process of being transferred. How do you teach this concept? I wonder. We repeat behaviors from the past and impose them in the present, and in so doing, our behavior is out of proportion to the present situation but our behavior makes sense in a historical context. In other words, all actions are reactions to past experiences as well as reactions to current experiences. So, if Barb feels that I am being mean to her in session, I may in fact be mean to her, and/or she may get triggered by something I said which reminds her when her mom was mean to her, and in that situation, I am the trigger, but she does not see that immediately, so she feels very hurt and disappointed by me. With time in psychotherapy, Barb and I can come to see how she felt my behavior was “mean” and she can also talk about how it reminded her of how her mother treated her when she had a boyfriend that her mom did not find suitable for her. As we unpack her feelings of hurt and disappointment, Barb comes to see how in other parts of her life, particularly in her close relationships, she often feels hurt and disappointed, and this may, in fact, be her carrying forward painful experiences she had with her mother. “Maybe I am too hard on my boyfriend,” Barb says with the suggestion that her insight into her behavior is slowly expanding. Helping Barb understand how she feels that everyone will treat her as her mom did, opens her eyes to the understanding that maybe she carries with her painful assumptions, which, when tested out, turn out not to be true, but without opening her mind to the fact that she is making assumptions, she then constantly feels hurt and disappointed. Through talking about the transference, Barb has the opportunity to grow emotionally, such that she can begin to understand how she can take a benign comment, such as “I wonder what you find attractive about your boyfriend,” and given her history with her mother, she hears “what on earth could you like about that man?” In her mind, she is prepared for a judgmental, critical attitude towards her boyfriend, such that she cannot entertain the possibility that my question is one of curiosity and not criticism. Clearly, tone is critical in this discussion, but even with a neutral tone, there is the sense that Barb is so convinced that the discussion is going to be antagonistic, and as such she must go on the defensive when talking about her boyfriend. This is a simple notion of transference, but one which I hope will illustrate the point. The point being that by reacting to our past and not our present, we, who have been hurt in childhood, continue to feel the pain and we do not open ourselves to feelings of acceptance and love. In essence, understanding transference can be transforming, creating a life-changing and maybe even a life-saving experience. Tomorrow, in my Psychoanalytic Technique class, the topic is silence, and what to do about it. The meaning of silence, the challenge of silence, and the patience with silence will all be ripe for discussion. 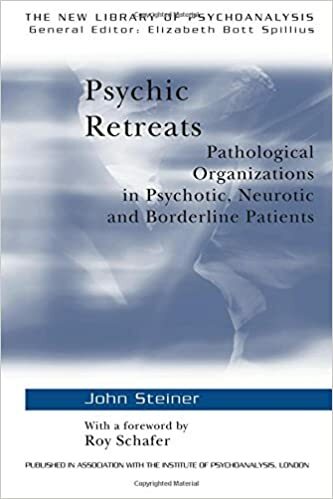 We will springboard from John Steiner’s work about psychic retreat, where he teaches us that patients often withdraw into silence as that is a safe space; safe from anxious and depressive feelings. More to the point, many people, particularly males, who withdraw in social circumstances, due to fear of having feelings, are often labeled as “on the spectrum” when in fact, they are using a defensive psychological organization to cope with psychic trauma. The misunderstanding between trauma symptoms and “spectrum” symptoms is particularly upsetting to me, because it is one thing to understand a patient as trying to cope via withdrawal as opposed to understanding a patient as incapable of nuanced feelings and social skills. This distinction is critical and it takes time with patients to really understand this difference. A severely traumatized individual will have no friends because he/she is frightened of the feelings generated by friendship, and this can seem identical to the “spectrum” individual who has no friends because he/she is not able to have the reciprocity required in relationships. Two fictional examples come to mind. One, a young male, isolated, lonely, and despairing, has never had friends because he is antagonistic and arrogant, by his report. In the intensive treatment he is often silent, requiring what I have called “hide and seek” such that he hides and I need to seek out his psychological state of being. Without my seeking, he remains hidden. The meaning of my seeking is that it serves to reassure him that I am indeed interested in his mental state. The issue of how long to remain silent as opposed to “seeking” him is the art of my work. The second fictional example is a fifty year old woman who often says, ten minutes into the session “that’s it. I have nothing more to say.” This seemingly abrupt ending to her thought process has puzzled me for many years. It is clearly defensive in that she protect herself from deeper intimacy with me, but at the same time, she is frustrated by her inability to deepen her treatment. Her psychic retreat would not be confused with “spectrum” issues and yet, she isolates herself in our sessions such that there is no reciprocity. She does not play “hide and seek” since she simply hides from me, in that “she is done”. She does not leave however, as she waits, perhaps with unconscious hope, that there is more to be said. Our work is focused on understanding these retreats and how historically speaking, these withdrawals saved her from feeling unloved in her family. Both these fictional examples illustrate how silence is as important as verbal output, as they both convey how the patient organizes his mental interior and as a result how the patient can share, or not share, those very private experiences. John Steiner has helped us a great deal with talking about the quiet, the dark space, if you will, within the psycho-therapeutic hour. Should Psychoanalytic Teachers Get Paid? Tonight I begin my new class in the psychoanalytic psychotherapy program at the New Center for Psychoanalysis. My class is on clinical technique, about what do you actually say when you are in the room with someone, if you are attempting unconscious exploration. In the past, this has been a stimulating class to teach with bright and interesting students and I have always felt that I got back more than I gave forward, and yet, many people have asked me why I don’t get paid for this activity. Tradition is the short answer. Those who taught me, whom I am eternally grateful to, were not paid, so I tell those interested that I am paying it forward. Upon further reflection, though, I wonder if the quality of teaching would improve if there was a stipend associated with the activity. Would market forces create a healthy competition where only the best teachers were asked back, and in turn, the teachers would have incentive to be on the top of their game? In the psychoanalytic community, this discussion is taboo. Like so many traditions, the “young” people are not supposed to question older, more established practices. Like the movie “Moneyball,” the senior members are quite certain they are making the best decisions, even though big data showed that, in fact, their “traditions” failed them. As a medical student, doing rotations in different clinical settings, I learned quickly that the practice of medicine was highly dependent on the reimbursement system, where, in the days before productivity measurements, doctors who were salaried tended to work less than doctors who were fee for service. This seems obvious in that if someone is paid the same whether they see ten patients or twenty patients, then they are going to argue to see ten patients, and vice versa. Reimbursement systems, like all behavioral systems, impact behavior, and physician behavior is included in this paradigm, of course. So, am I saying that I would be a better teacher if there was a salary associated with it? I think so, but I am not sure. It is an interesting question. 30 students, different backgrounds, all engaged in a lively discussion of what it means to have meaning, and how patient’s come to us (clinicians) in search of meaning because either they have lost meaning or they never felt they had any. The discussion was broken up into to parts. Part one involved the fictional tale of a middle-aged woman who could not find any inner peace. Externally her life seemed enviable, but internally she never felt any traction. To say that she is depressed misses the point, we discussed, as her disposition was cheery, and her self-care was excellent. Yet, she never felt that what she did really mattered, either to herself or to others. In this fictional case, we explored her childhood roots, her exposure to her parents and our presumption about their internal world. We talked about what it meant to her parents that she was born, and how downstream that caused her to feel unimportant and lost. The students asked lively questions about how to help someone have meaning, when no obvious intervention seems to take hold. The obstacles to having meaning were discussed, as in this tale, the obstacles had to do with her internal alliances to her family in which if she did not mirror the meaning her parents put on the world, then she felt a huge sense of unconscious betrayal and so she could not latch on to new passions. The second part of the morning involved another fictional case, this time of a young adult who was trying to find his way in the world and the obstacles he felt in doing so. Issues of gender, sexuality, professional identity were all mentioned, again in the context of trying to make his parents proud of him, while at the same time developing his own sense of meaning. The relationship between meaning and attachments were discussed in length, as most meaning is made through both conscious and unconscious attachments in that passion is derived from feeling like one key person in your life is going to be very proud of you and in that mental image, enthusiasm is born. The underpinnings of happiness were discussed in a positive psychology model as contrasted with the persistent focus on the underpinnings of distress. Meaning is made if the person can have his life make sense to him. That is, often, but not always, a tall order. And so, my next class is on my mind. How about Healthy Happiness? It is a thought. How do you teach psychotherapy? What does it mean to supervise? Who should teach psychotherapy? I am involved with this question at both psychoanalytic institutes where psychoanalysis is taught and in psychiatric residencies where psychiatrists are taught. In both institutions, the teaching is done by those willing to teach, and not necessarily by the best teachers. Further, as with all work environments, friends are tapped first, again based on personal relationships and not necessarily based on what is best for students. And despite my continued plea for humility in this field, the sad truth is that we don’t know how to teach it, and student satisfaction is no proof of good teaching. Like psychotherapy itself, we have no clear guidelines about what to do and we have no clear guidelines about how to measure our effectiveness. My answer, not surprising to my readers, is to accept that psychotherapy is an art, and as such, those who choose to enhance themselves our signing up for art school, learning ideas and concepts, but no firm path to doing the work. Further, I value my credentials and I think those are important, and as such, those who teach, in my opinion, should have completed training programs which are recognized by the field, such that dynamic psychotherapy should be taught by graduates of psychoanalytic institutes since they have spent hours reading and discussing psychoanalytic concepts, and without this rigor, the depth of discussion is limited. Yet, since teaching is mostly a volunteer activity, few leaders want to impose restrictions, and so quality control is often sorely lacking. 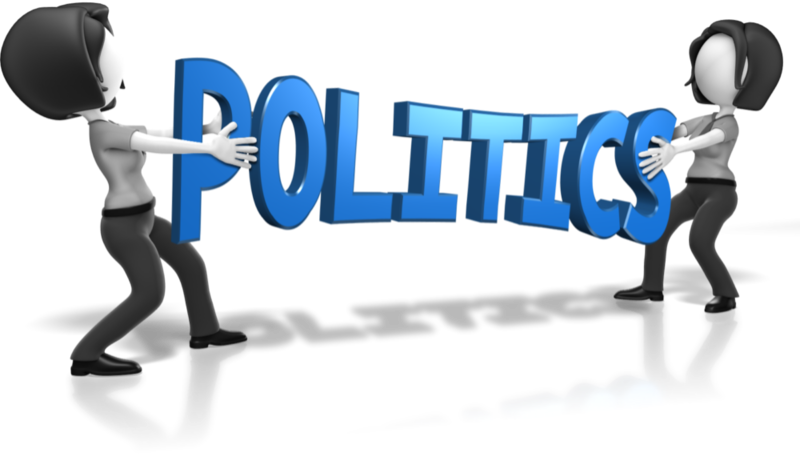 Politics is everywhere. Friends take care of their friends, and so opportunities are shared, sometimes to the detriment of students. Navigating around these waters is the art of life. Recognizing that merit based promotion is often rivaled by cronyism. We help our patients wrestle with these ideas, and so as therapists, we should understand it. I think we do, but it is still a challenge.